"You've been writing a lot about poetry lately," says Archer. I guess you could say I'm writing what I know. Or what doing what I know. Which, this summer, is poetry. Also, comic books. And constructing foam-armor costumes with the Sherpa kids. It's summertime, after all, and we have a couple of weeks of "Camp Dad" on the calendar. So, I've slowed down the blog a bit, shifted the frequency of posts to once a week. 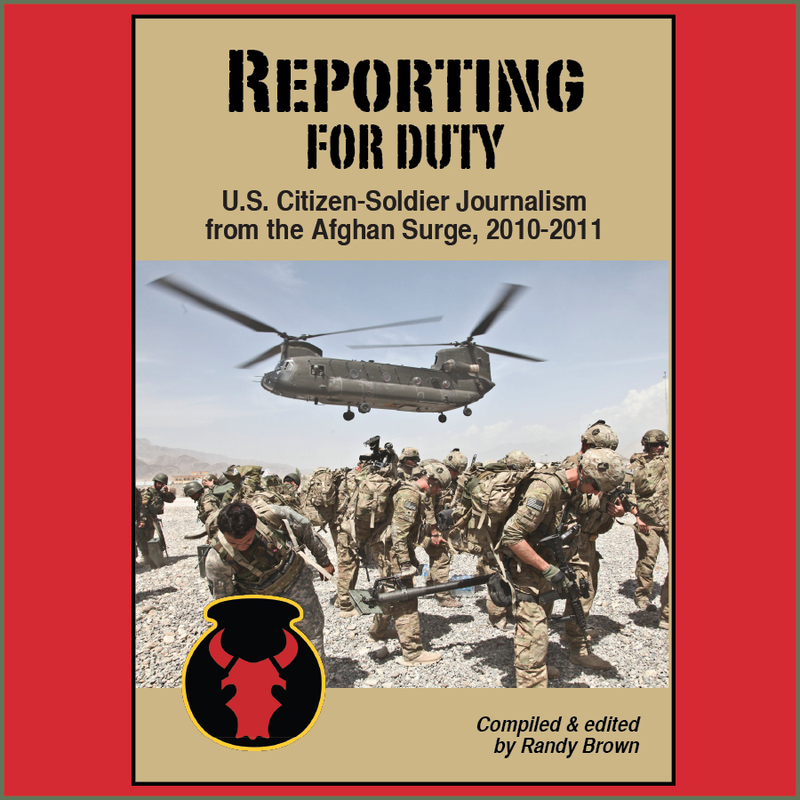 Behind the blog-scene, I'm shopping to publishers and contests a manuscript of my own military-themed poetry, while also wrestling with the harder parts of that never-ending "Red Bull in Afghanistan" non-fiction project. I'm also ramping up to help out some of my veterans-lit buddies at Military Experience & the Arts with a larger, on-going editorial project. More on that in a future post. Summer is here! That's Annual Training season! Through press releases and social media, I've been watching members of the Minnesota National Guard's 1st Brigade Combat Team (B.C.T. ), 34th Infantry "Red Bull" Division (1-34th BCT) engage in a large-scale training event at Camp Ripley, Minn. They're getting ready for a 2016 rotation "in the box" at the National Training Center (N.T.C. ), Fort Irwin, Calif. Meanwhile, members of the Iowa National Guard's 2-34th BCT are prepping for a rotation later this summer at Joint Readiness Training Center (J.R.T.C. ), Fort Polk, La. "All this has happened before, and all this will happen again." That reminds me: I should write a humorous essay titled "Ways that Camp Dad is like Annual Training." Something akin to that time I compared/contrasted working in a Tactical Operations Center and working in a daycare. It seems to me that I haven't been bringing the funny much lately. Unless you're talking poetry, of course. Which I am. No big surprise here, but the stuff I write usually tends toward the humorous. Even with all the summer household chaos and logistics, I've had some recent good fortune in getting my work out there and published. 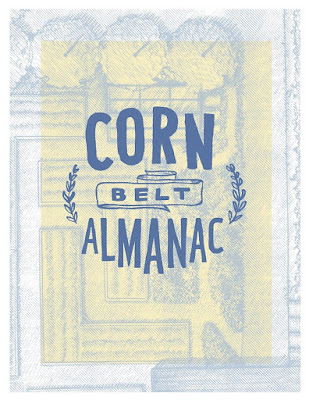 One recent arrival is The Corn Belt Almanac, a cornucopia full of essays, fiction, poetry, recipes, fun facts, and other good stuff about agriculture—about how and what we eat. The almanac is the third such project from The Head & The Hand Press, a small press located in Philadelphia, Penn. Previous years brought about 2013's The Rust Belt Almanac (on themes of urban renewal) and 2014's The Asteroid Belt Alamanac (on themes regarding science and space). Writers, take note: There's also soon to be an open call for The Bible Belt Almanac, to be published in 2016. Editors will be looking for work regarding religion and philosophy. You can buy The Corn Belt Almanac here. 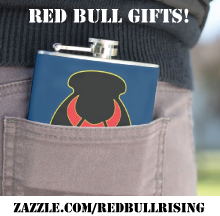 The 116-page journal not only includes "10 haiku about a state fair," written by the writer of the Red Bull Rising blog, but also a recipe for "Kick-@$$ Corn" from Household-6! It's also chock-full of literary goodness! But what's the connection to military writing, Sherpa? Well, an early draft of "10 haiku …" did include one about military recruiters working at a state fair. That, however, grew into its own, non-haiku work. It hasn't yet been published. More directly, however, I first came across The Head & The Hand Press when reviewing Adrian Bonenberger's 2014 memoir "Afghan Post." They're a hardworking and creative "craft publisher"—check out their "community-supported" business model, for example—and bring a lot to our collective literary table. Friendly reminder: You can buy Bonenberger's book through Amazon , your local bookseller, or direct from the publisher. 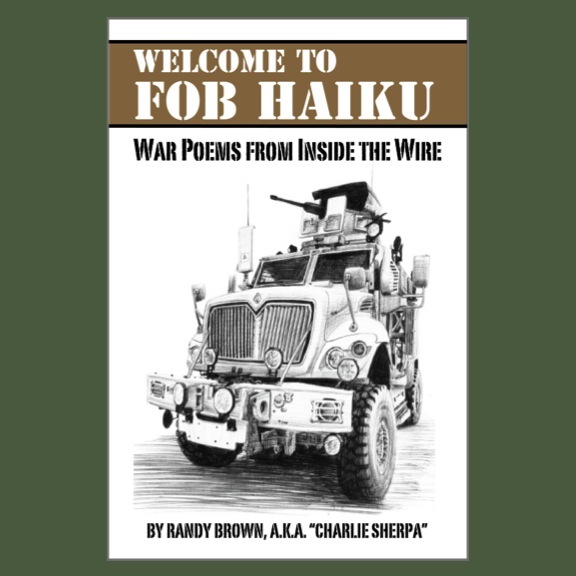 In other war poetry news, fellow Military Writers Guild member Mikhail Grinberg recently wrote a two-part review and interview with self-published war poet Stanton S. Coerr's 2013 collection "Rubicon" . Coerr is a former Marine attack-helicopter driver, and he has some good things to say in person and in print. I commend both the review and the interview to you, although I think that modern military-themed poetry has a larger footprint than either writer suggests. Does it enjoy the same reach and financial success as the latest summer blockbuster? Probably not. But it's doing important stuff, and there's a market for it. Grinberg's review personally influenced me, for example, to seek out and purchase Coerr's work. I've also taken the liberty of adding Coerr's work to my "Mother of All 21st Century War Poetry Lists," which was first posted last April, and now appears as a static page on the Red Bull Rising blog. In 2006, Colin D. Halloran deployed to Afghanistan with the Connecticut Army National Guard's 1st Battalion, 102nd Infantry Regiment (1-102nd Inf. ), a unit with a command relationship to Vermont's 86th Infantry Brigade Combat Team (86th B.C.T.). Among other missions, he and his fellow citizen-soldiers were assigned to provide security to the Provincial Reconstruction Team (P.R.T.) located at Tarin Kowt, Uruzgan Province. After Halloran suffered a blown knee and broken wrist while in Afghanistan, the Army couldn't decide whether or not to ship Halloran stateside. He eventually was returned to the states early, without his platoon-mates. 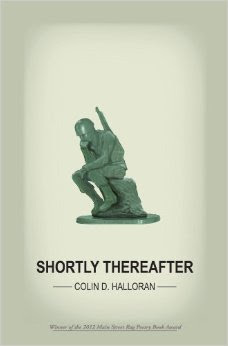 In 2012, Halloran published "Shortly Thereafter," a collection of poetry—sort of a "memoir in verse." The narrative arc of the 80-page book traces the entirety of the military experience—some "hooah" moments, but most others ranging from "aw, shucks" to "aw, sh--." Halloran notably gives voice and detail to the experiences of the citizen-soldier, those modern-day Minutemen and Minutewomen who leave civilian jobs and life to answer their country's call. These are the stories not often heard above the hype and glory reserved for snipers and SEAL teams. but I guess I went against his politics. there would be a black mark on my transcript. [...] The joys of being grenadier. Six extra pounds of volatility. 5 meter kill radius. 15m CR. These are the things you need to know. Knowledge to be effective in the field. to be in that CR. Homecoming is a journey, however, not a destination. Halloran's explorations of his wartime experiences are not complete. He has a second collection of poetry forthcoming this fall from Main Street Rag Publishing Co., Charlotte, N.C. In a quick e-mail note to the Red Bull Rising blog, Halloran says that "Icarian Flux" picks up where "Shortly Thereafter" leaves off: Using metaphor, persona, and narrative to explore his relationship with PTSD and those around him in the years following his deployment. For a limited time, the $14 book is available for pre-order for only $8. The book will be published in October 2015. For examples of his new work, click here. "Shortly Thereafter" remains available via Amazon , local booksellers, and at discount directly from the publisher. Bonus: Check out mil-blogger Peter Molin's ("Time Now") review of "Shortly Thereafter" here. 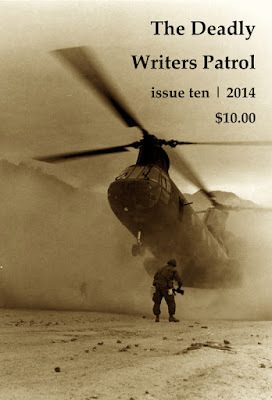 In the tenth issue of its print literary journal, the Madison, Wis.-based Deadly Writers Patrol (D.W.P.) delivers 80 pages of punchy prose and poetry about war and peace. The nucleus of the group is a fire team of writers who each served during the Vietnam War. Starting in 2013, however, submissions were opened to veterans and family members of other conflicts. In both process and product, the effort builds bridges not only between civilians and veterans, but between generations. Most of the writing we publishes touches on experience in the service, but we're open to writing by veterans on any topic. Over the years we've published work by a few non-veterans—including several members of veterans' families—about the eras. We focus primarily on "creative" work—fiction and poetry rather than memoir—but we understand that the line between autobiography and fiction is blurry and we don't spend much effort enforcing it. In effect, it means that we're looking for writing that deals with the complexities of experience rather than journalistic reports of "what happened." […] we plod forward still. Former Marine and Iraq War veteran Maurice Decaul presents a series of four poems, written in the style and spirit of an ancient Tamil anthology called the Purananuru. Written between the 1st century B.C.E. and the 5th century, the original texts delivered treatises on topics such as war, morality, and kingly conduct. & when it is raining lords, it is I who won't be missed. Themes such as Schuth's and Decaul's echo those of their Vietnam War-era brothers and sisters. At the same time, having their work appear alongside stories of earlier conflicts invites readers to comparison and contrast. Uniforms, acronyms, and details may have changed, but times have not. Take, for example, the work of Vietnam War veteran Steve Piotrowski, whose short story "The Black Shack" tells a multi-layered narrative of navigation, from out in the field to back in the rear, and among differing civil-military terrains of race and culture. The work is a chapter-length excerpt from Piotrowski's larger book project, "Coming Home," and is based on his experiences in the 173rd Airborne Corps. Younger veterans will marvel at how much has changed, and how much hasn't. The DWP magazine's editors welcome veterans' contributions of poetry, fiction, and more. Submissions by non-veterans should regard in some manner a theme of war or its effects. In addition to short stories and poems, past submissions have included excerpts from novels and memoirs, as well as personal essays. Werner's "We Gotta Get Out of This Place: The Soundtrack to the Vietnam War," written along with fellow DWP member Doug Bradley, is forthcoming later this year from University of Massachusetts Press. A sampler of other Deadly Writers Patrol writing is available FREE on-line here. In keeping with its tactical title, the veterans-lit journal "Line of Advance" continues to grind and attack forward with a rocking and rollicking fourth issue. The Spring 2015 edition of the Chicago-based on-line publication is available via a $5 single-issue purchase or $27 annual subscription. The magazine is available in either Apple-friendly epub or Amazon Kindle formats, or PDF by e-mail request to the editors. I say to my friends not directly linked to the war that there may be something else going on. There may be an unseen player in this drama that does not have our best interests at heart. The echoes of the deeds in Western Asia are reverberating through our society just as those from Southeast Asia harangued our people forty years ago. This is, of course, why we publish Line of Advance. The works in the following pages are not black and white. They are as those telling the facts of a car crash: different, and gray, and true. All of them true in one-way or another. And, as a people trying to move forward with our humanity we would be wise to embrace the in-between thoughts, and the sliver truths, and even the ghosts we cannot yet see. Eric "Shmo" Chandler is here, not only with poetry, but with prose. His short non-fiction story, "Isolationist," begins with an airport pickup and ends on the cusp of war. There is much here on which to chew and muse on, from his own experiences as an F-16 jockey turned commercial aviator. His poem "Did Joseph Heller Know King David?" also made me laugh on a biblical scale, and his "Quid Pro Quo" made me cry like a dad. Poet David S. Pointer is here, too, with his signature stream-of-consciousness style spat out like bullets, or bomblets. His "Serious Psychological Development" invites multiple readings. I often discover myself reading his work aloud, and always find different targets with each round. Chandler's and Pointer's works each deserve to be read all at once, in all their pithy and punchy glory. I'll not quote them here, for fear of spoiling the surprises. […] Goat bones and battery packs—the long cold detritus of war and forgetfulness. For weren’t we born without kings? If all this isn't enough to move you to subscribe, check out the FREE sample short story "Road Construction," by Samuel Chamberlain, is available at the Line of Advance blog here.